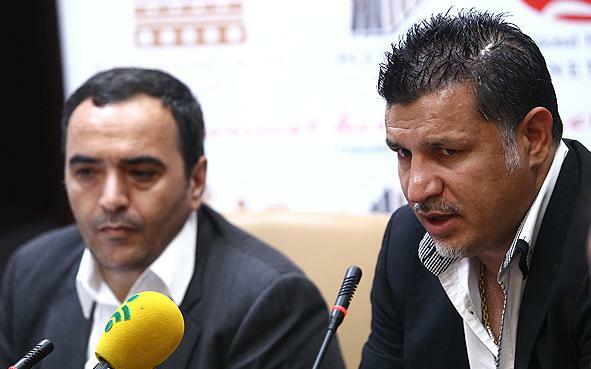 Ali Daei, the former head coach of Iran national football team, says he is not interested in managing Persepolis FC. Daei used to manage Reds for two seasons. “Currently, I am planning to prepare my team for the next season of Iran Pro League. I have also renewed my contract with Rah Ahan until the end of upcoming season.” Ali Daei told a press conference on Wednesday. Rah Ahan football club also confirmed on Tuesday that Daei’s contract has been extended for one more season. “Qualifying for 2014-15 AFC Champions League is our top aim for next season. We will do our best to achieve this goal.” Ali Daei concluded. It is worth mentioning that Rah Ahan FC was originally founded on January 1937, but they have never been qualified for international tournaments such as ACL.